I was digging through blog posts that I started way back at the beginning of the summer and found these photos of me and Scout. 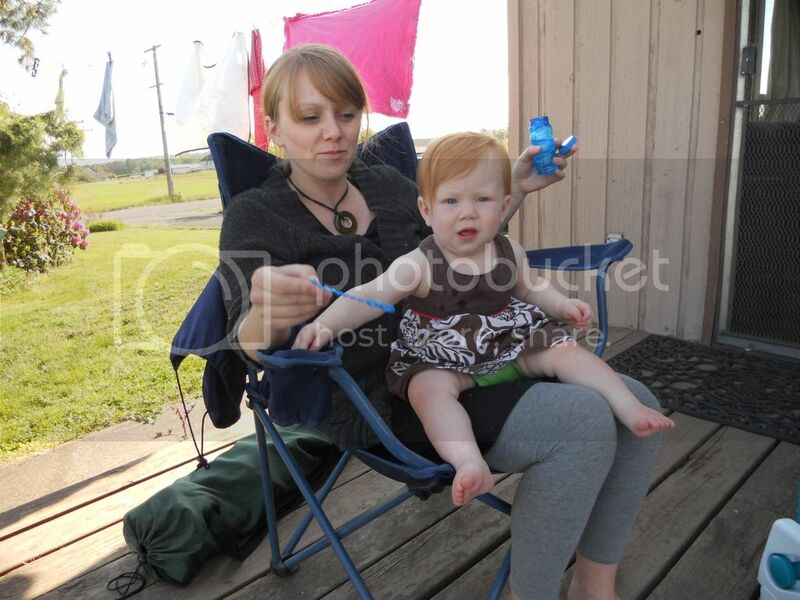 Just hanging out on the deck; eating cheese, blowing bubbles, and lounging in camping chairs. 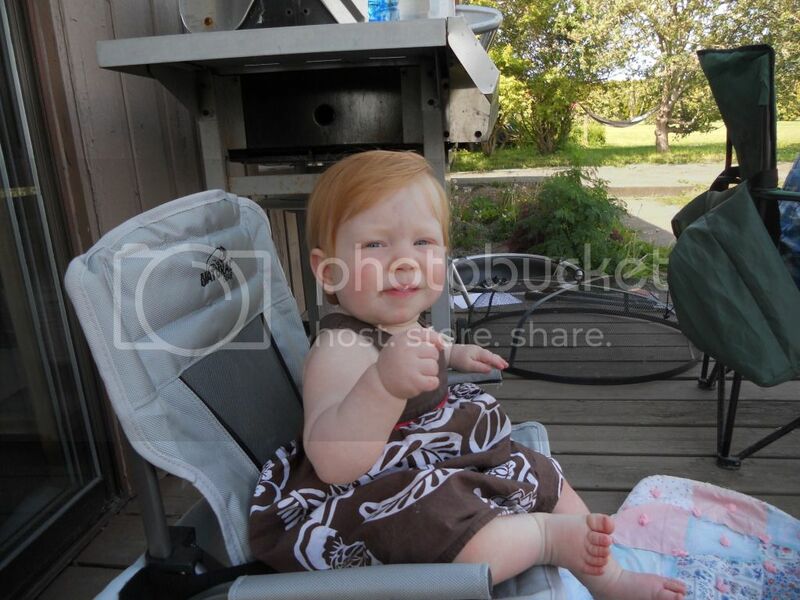 She seemed like such a big girl this summer, but looking at these pictures she looks so round and chubby. what a great mommy you are! 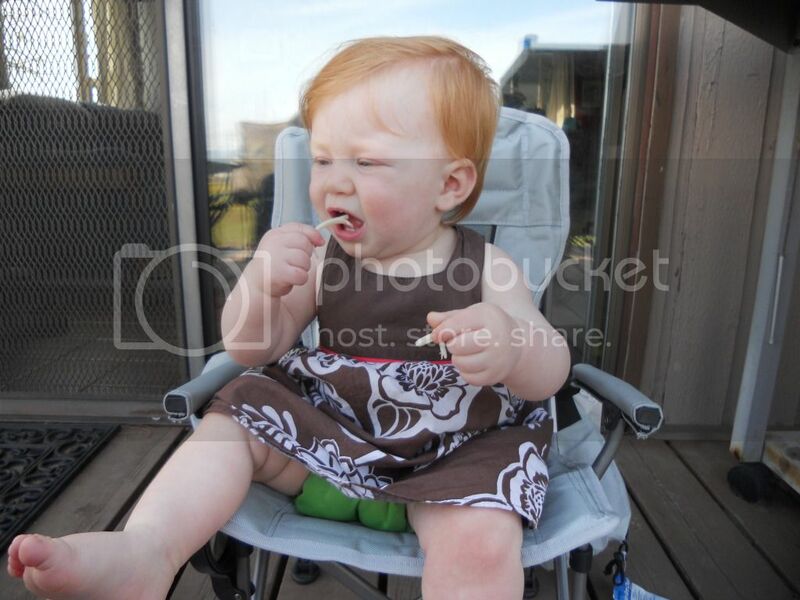 and a darling little red head...I am so jealous!